"How personal training changes from childhood into adulthood" - Energetic Juniors - Contact Us! From the very beginning, parents begin preparing their babies for basic movements that develop their motor skills—holding their head up, sitting, standing—in order to get to the point of crawling and walking. 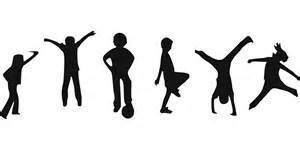 The physical milestones we accomplish in our youth far outnumber those we see in adulthood. In fact, somewhere in our mid- to late-twenties, almost overnight we go from preparing for a healthy life to preventing ourselves from aging. Both children and adults train in anticipation of getting older. Children prepare for growth spurts and eagerly await the years ahead. Adults look to stave off the years ahead and train to prevent the effects of aging. It has been widely proven that kids who “exercise regularly in childhood and adolescence increase their odds of staying physically active and healthy during adulthood.”1 Despite the current decline in the amount of exercise youth are getting, I have not witnessed a corresponding reduction in the way kids perceive exercise. Until what seems like adolescence, most kids see movement as play, which is crucial for capturing their interest early and promoting a lifelong habit of exercise. However, a negative connotation of exercise often develops as we get older. It can become a chore or an obstacle to overcome, and kids pick up this idea over time. But what if we maintained that love of being able to leap, run and jump over obstacles like we were invincible? Perhaps then we might begin to see healthier young adults and less childhood obesity. There are many adults seeking personal training who begin their programs just by trying to relearn the natural movements they’ve lost along the way. Toddlers naturally sit into a deep squat and can comfortably stay in that position. Maintaining a simple squat, hip hinge and even crawl through adolescence and into adulthood may drastically change the way people feel. Young athletes who work with trainers will be at an advantage going into adulthood. They are the ones who’ve maintained the love of movement through sport. A trainer will be able to teach the athlete how to perform exercises correctly, develop healthy eating habits and make fitness programs work for them. These skills are invaluable, and once ingrained into the mind of the youth athlete, he or she will carry them for a lifetime. By Laura Young, a certified ISSA Personal Trainer and ISSA Youth Trainer for Energetic Juniors, and a registered yoga teacher from Atmananda Yoga in Manhattan.